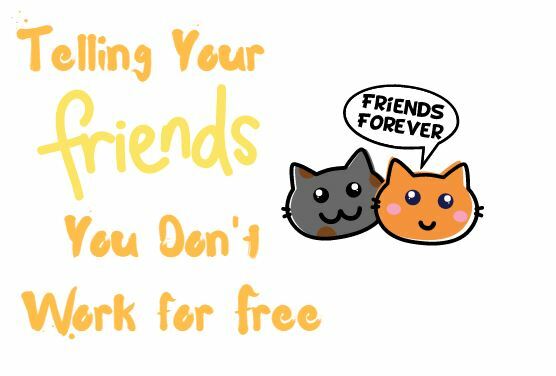 How do you get your friends to understand you do not work for free? I am sure this is a situation anyone can relate to. Friends will seem to forget that we all work for a living. I have recently run into this in my professional life. I work from home as you can guess from this website. I am a web designer and internet marketer. I enjoy what I do, but there are so many distractions that come up throughout the day it can be almost impossible to get anything done. Sometimes it seems our friends and family tend to think that since we are at home, we are at their disposal. Urgent to whom? Urgent to him or urgent to me? I find that I am too nice of a person. I need to begin telling friends…. I think what we all have to do, even if you are only protecting yourself against the people in your family is you have to block, put up that wall of steel and save that time and use it to get your work done. I know this is easier said than done. But somehow for people who work at home on the computer all day, it does not work like that. People have this notion in their head, “Give it to me for free!” And, I think you just have to draw the line with these people. Sometimes you can pass the buck and tell people who are asking for free computer work…. And, then you will never hear from those people again, because they do not necessarily want your work. They instead wish to place the spotlight on themselves and they want to show everyone that they have done something and want you to produce a website or piece of imagery for free which serves to only promote themselves. So you will be doing them a favor by ensuring that they take you seriously. And, the reverse is true. If you ask a favor from a friend that relates to their profession, please offer to pay them, because that will help you much more than it will help them. I hope this helps some of you when you are faced with this situation, because it has happened to all of us at one time or another. I would love to hear some of your stories about this. Please comment below and share this article with others whom you think will benefit from it. Steph, I have a partner who exhibits all the ‘you’re not working’ attitudes. When I started doing my website I told him what I was doing, asked him to do an article (because he is a clever fellow) and asked him to take a look at my site. That was two years ago and he still hasn’t looked at it. The other day he said to me ‘You’ve been PLAYING on the computer for two years, can you do a website.’ I felt like clubbing him. I also have another friend who I do computer work for using the Office Suite. I do her quality manuals, growers manuals and the like. She is in a competitive market and doesn’t make much more than the output costs. And she always pays me. I dodn’t have to ask. When you work for yourself you need to have a printed schedule of fees. When someone wants help you ask them to VERY BRIEFLY explain what they want. If you can help hand the schedule to them. If they want advice on something, you can tell them to write out what they want (ie their brief) and then give it to you for pricing. Explain to them how precise they need to be to define their needs as you will price on that. Then you price the work based on exactly what they say and put a time period on it. Then give an hourly quote for extra work outside their brief. Make sure you put all your conditions down and assumptions to clarify their fuzzy points. If they accept the work then you could give them a little discount for the initial small amount of advice you might have given them. And if they don’t like that, tough. Be tough to be kind (to yourself). Great hearing from you. I think a big part of the problem when working for free for your friends or family is that they are unaware of how much time it takes to develop and maintain a website. Also, there is the issue when you are doing stuff for free, it takes time away from you doing things that will generate a revenue for you. I like the idea of making sure they are specific and provide as many details as possible. You got that right, because otherwise it leaves room for misunderstandings and then you end up wasting your time doing things that they did not have in mind. Thanks for stopping by Helen. Have a terrific day! You are right. It is great to have that personal freedom to work your own hours, but yes, there is very little respect for those of us who work from home. People just assume they can drop by and expect you to drop what you are doing and do this and do that. It is like you said, do you drive to their office and pull them away from their duties to talk to them about meaningless stuff? No! 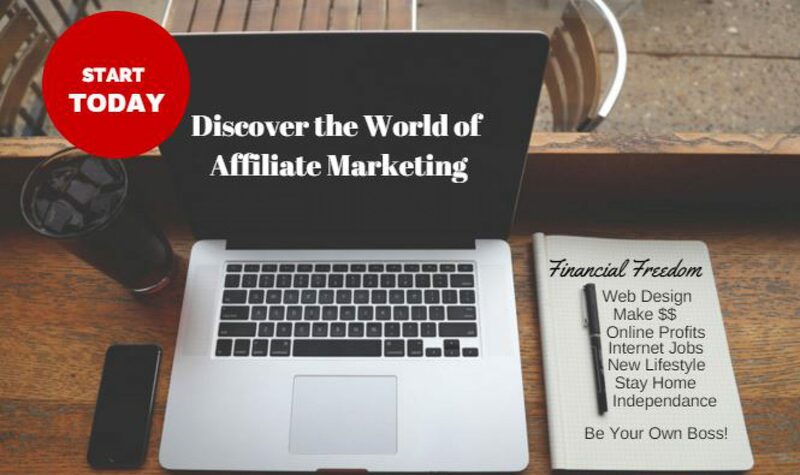 I too love working from home and I am glad I found Wealthy Affiliate because it gives me the ability to do just that. This is such a sensible topic. As a designer and artist myself sometimes it’s as if I am expected to help out a friend for a logo and this and that. I still work a full-time job, but even when I sit down and work at home, I can relate to what you mentioned about how folks can think you are “available”. I am glad these tips are helpful to you. And I am also glad you have some understanding and supportive family members. That makes a big difference. My family is mostly supportive and understanding, but every now and then a reminder is needed. Thanks for sharing. See you later. You hit the nail on the head. People assume that just because you are at home, you have all the time in the world. That your time is now their time and you can stop what you’re doing whenever they need you. I’ve not always been great at it, but I’ve had to learn that my time is one of those nonrenewable resources and so I must choose how I use it wisely. Thanks for the insight! I like how you describe your time as being a “nonrenewable resource”. That is so true. We need to take care of ourselves and our needs before we can take care of others. Thanks so much for reading my latest post and sharing. Interesting page, I agree with you 100%. Since I work from home, friends and family think I’m just hanging out on the couch watching Netflix and is available to them when they need me. If they only understood what I actually do. I’ve tried to share it with them but they don’t want to give me their time. They only want to take mine. It definitely important to get people to see the value in what we do and what we offer. Great page, All the best. Yes, I too have friend that think because I work from home that I am sitting around twiddling my thumbs or watching movies, like you said. When it actuality, I am working very hard to achieve financial freedom. Many thanks for reading my post today. I appreciate you sharing your experiences. It is always nice to know people who are in the same boat. Hi Steph, Love your article. I have this problem too. People dont take my profession seriously – and seems family are the biggest culprits. TIme to harden up and start saying no to the freebies. I am glad to hear I am not the only one who struggles with this issue. I was managing an online identity and the design of a website for a close friend who is an actor and I was doing it for free. He is David Hight. I finally told him if I am to do all of this, you need to pay me, so we worked out an agreement. You have to be tough when working online. As you said, time to harden up and start saying “No” to the freebies.